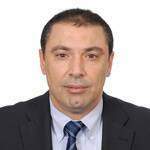 Prof. Ridha GOUIA is a professor of Economics at the University of Tunis-El Manar where he received a Doctorate (PhD) in Science of Economics. 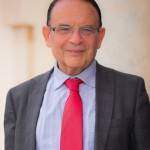 He started his career as a Professor at «Faculté des Sciences Economiques et de Gestion de Tunis» in campus of Tunis. He never quitted teaching and supervising Master and theses. Currently, he is the Director of APBS. Ridha’s key qualifications are in the area of industrial Economy, Foreign Direct Investment (FDI), Macro-Economy, Economy policies, Microeconomy, Development. He is the author of many research studies published in different Journals. 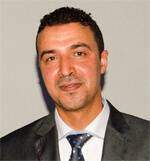 He is the General Secretary of «Association des Economistes Tunisiens (ASECTU)». He was the head of the Groupe de Recherche sur l’Entreprise et la Production (GREP) in the University of Economic Sciences, Campus of Tunis. He is the author of three books in Science of Economie: «Phase du capitalisme et théorie économique», «L’Industrialisation des pays du Maghreb et IDE» and «Les Alliances industrielles dans les pays du Maghreb», in French. Teacher in Finance at Higher School of the Digital Economy, Manouba. Ph.D. in Finance, Faculty of Economics and Management of Tunis, 2010. Over 12 years of teaching experience. Focus areas: Financial Management, Financial Mathematics, Corporate Finance, International Finance, Banking Crisis and Efficiency. A broad teaching experience in both business and engineering schools developing an innovative pedagogical approach based upon interactivity and use of computer tools such as excel. She built up economic curriculum for Tunisian Polytechnic high school (EPT) as former head of economics department and supervised graduate projects at Société Générale Paris, Société Générale Asset Management , CREF HEC Montreal, Hong Kong University of science and technology, PWC Tunis, AMENBANK,BIAT, and others. Ernst & Young IFRS Trainer and IFRS specialist. Trained Ernst & Young clients on IFRS standards and local GAAP (2008-2009). Key member of an Ernst & Young IFRS Publication: «IFRS for SME’s and Tunisian Local GAAP comparison». PH.D, Computer Science Engineer and Researcher within SOIE Labs; Project Manager in the Bank of Tunisia for more than 7 years. He developed many financial and banking applications. His scientific activities are focused on designing novel intelligent evolutionary optimization algorithms and their application to solve complex multiobjective management problems. Ph.D Faculty of Economics studies and Management of Tunis Extensive teaching experience in different universities (Business and engineering). Specialist in international financial and monetary issues. Former consultant with MAC SA, a Tunisian brokerage house. 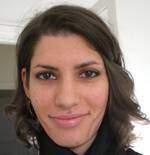 Houda Bougacha holds a Masters degree in management and strategy from IHEC Carthage. She is a confirmed training professional with an international experience. 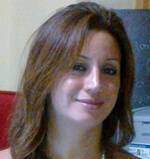 She has worked on several ICT4D Tunisian-Italian joint projects. She is also a specialist of the financial services industry with missions among Tunisian and African banks and leasing companies. Obtained her MA degree in Cross-cultural poetics from the Higher Institute of Languages in Tunis in 2006 and was offered a job at the multinational company based in Tunis, CROWN Maghreb Can where she worked until 2009. She also received Master’s courses in Human Resources Management in 2007 and has elaborated since a special interest in that field and pays significant attention to students’ future careers which is why she participated in supervising over 80 students of 3rd year applied English and equally students of a Master level specializing in English for Communication at the Higher Institute of Languages in Tunis. She then decided to shift to an academic career and enrolled in Phd at the Faculty of Letters and Humanities in Manouba specializing in Cultural studies in the English Language. Has been permanent Teaching Assistant at the Faculty of Letters and Human Sciences in Sousse since 2012 and has participated in over 10 conferences and study days at the national and International level and she has 2 articles published so far and more to appear in 2014. Her areas of interest and research are Middle Eastern studies, Jewish history and Media studies. Professor Samir Chebil is holder of both a Ph. D. as well as an MBA in Finance and international Economics from the George Washington University. Pr Chebil has extensive experience with International Financial Institutions notably with the International Monetary Fund as Economist for 7 years and the World Bank as Senior Advisor for 15 years. He also taught in the United States as Distinguished Professional Lecturer and Visiting Assistant Professor mostly MBAs courses and Executive Program seminars in various universities notably Georgetown University, John Hopkins, George Washington University, American University, and Fort Lauderdale School of Business. Addionally, Pr Chebil conducted Executive Seminars for major corporations in the United States especially for AT&T and SAIC as well as for the Arab Monetary Fund in Abu Dhabi. He received several particularly the award for best PhD Dissertation in the Consortium of Universities of Washington DC from the Economic Club of Washington and an award for best Teaching evaluation in the field of International Finance from the Business School of George Washington University as well as various teaching recognitions from heads of departments of Georgetown University and John Hopkins University. Wissem Ben Marzouk currently teaches at the Higher Institute of Commerce and Accountancy of Bizerte and APBS.His educational and research efforts have focused on the teaching of international marketing, intercultural marketing, marketing strategy, market research, marketing audit, and competition strategy. In addition, he has supervised industrial projects implementation, particularly in the food industry, and has accumulated experience in identifying marketing opportunities for export of food products in Canada and Tunisia. He has been working for the government of Alberta (Canada) on international marketing research. He has authored a dissertation ‘Unlocking the potential of Sukuk in support of economic development: Tunisia Case Study’. He is a member of the academic committee in the Tunisian committee of Islamic Finance COFIT, a body which promotes the Tunisian Islamic finance Industry. Assistant lecturer of English languages and culture studies at the Higher Institute of Languages of Tunis since 2007 and visiting professor at APBS since the Academic year 2013. Holds a Phd degree in English Language and civilization that was received from the University of Manouba in 2013. Prior to teaching at the ISLT, she held the position of a foreign language teaching assistant at Jackson State University, Mississippi, the United States, and the position of assistant and translator at the United Nations information center in Tunis. She published several articles in a number of renowned academic journals including the International Journal of Arts and Sciences, the International Journal of the Humanities, the Mediterranean Journal of Social Sciences and others. Currently she is conducting post-doctoral research centering on American third world foreign policy.